‘Dying of a Heroin Overdose Does Not Make You a Scumbag’ by A. Thomas McLellan, Ph.D.
Great article in the Huffington Post by one of the leading addiction treatment researchers involving the loss of one of my favourite actors. ‘In the wake of the tragic death of Philip Seymour Hoffman, I am shocked by the vast range of opinions and emotions that have been voiced in the public discourse. Media outlets of all shapes and forms are weighing in on his death – and specifically, the foolish, self-destructive choices he made associated with his addiction. The explosion of speculation and moralizing surrounding this death brings to light how conflicted our feelings, as a society, are about this disease. And the science is clear on this point. Addiction is a disease – and like so many other diseases – its onset is caused by an inextricable cluster of biological, behavioral and environmental factors. But for some reason, this disease still inspires a socially acceptable prejudice that is simply not appropriate and certainly is not right. Last week I was speaking with a prominent and well-educated journalist who was doing a report on substance abuse. He was interviewing me as an expert in the field – having spent my career researching addiction and working to advance policies and practices to support improved care. But in addition to my professional experience, and like so many of us out there, my experience is personal as well. In 2008, I lost my youngest son to an overdose. And yet, despite knowing my professional and personal background, this seemingly intelligent reporter made the following statement to me in casual conversation: “What a weak piece of sh** that Philip Seymour Hoffman was, eh?” Even as I sit here several days later, I am dumbstruck by the callousness, the audacity, and most of all, the ignorance of this comment. Overdosing on heroin doesn’t make you a scumbag. Having a drink after 20 years of sobriety doesn’t make you weak. Having an addiction is not a moral choice. In fact, I think it is accurate to say that having an addiction is not a choice at all. Sure, it is a completely voluntary act the first time anyone picks up a drink, smokes a cigarette or uses another drug. And that remains true for at least several more voluntary choices to drink and/or use. But then something happens in the brains of about 10 percent of those who use – we don’t yet know exactly all that happens in those brains but for sure there is triggering of genetic expression, and likely induction of immunologic reactions. We know that those biological changes have primary effects in the brain especially in the areas responsible for governing judgment, inhibition, motivation and learning. We do not yet know why some drugs produce these effects in some people; how much or often one has to use to bring about these changes, or how long these brain changes last. And we do not yet know which of those who drink or use for the first time will go on to become addicted. But we do know two things for sure. Nobody – nobody – has their first drink in order to become an addict. And we know for sure that the brains of those who become addicted are very different from the brains they started out with. I wonder how the media or the public would have reacted if Mr. Hoffman had passed away as a result of another disease that he had been struggling against for 23 years? Say cancer? I think the young actor’s triumph over cancer likely would have been celebrated throughout his career as an example of his personal strength – a story of a talented individual bravely overcoming the odds. Perhaps he would have been “the face of” recovery from his particular form of cancer. Giving hope to fellow sufferers, raising awareness and needed research funds to find a cure. What, then, would have been our response if the cancer had come back, and ultimately he lost his valiant struggle? My guess is we would have had compassion – we would have celebrated his struggle and remembered him for his courage – and we would have been right to do so. But Mr. Hoffman reportedly died from the disease of addiction. An acquired, progressive, relapsing disease that he managed to beat back for 23 years of his life. And it was likely a day-to-day fight. Science has shown that drug addiction actually produces lasting changes to the brain’s structure, particularly in those areas responsible for inhibiting actions and moderating motivational urges. For example, we know that environmental cues associated with alcohol and drugs (like alcohol commercials on TV) can trigger brain changes associated with substance use. These environmental events (people, places and things associated with substance use) have been shown to evoke strong cravings even in sterile laboratory settings; and even among those who have remained steadfastly abstinent for years. In other words, commonplace situations – like being offered wine at a dinner party –can literally cause the recovering addict’s brain to work against his effort to maintain sobriety. Cast in this light, maintaining recovery from addiction sounds like a pretty heroic effort to me. 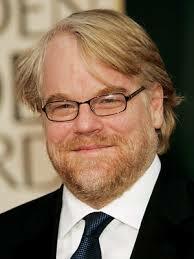 So why haven’t we celebrated that part of Philip Seymour Hoffman’s story? Why are there no national campaigns celebrating the many day-to-day battles that recovering individuals fight to stay clean and sober? And why – if this disease overtakes you and you lose the fight – do people who should know better sneer and suggest that the victim was a “weak piece of sh**”? We don’t talk about other diseases like we talk about addiction. But we used to. I am old enough to remember that before science helped us understand other stigmatized diseases like cancers, tuberculosis, polio, depression and HIV – those who suffered from those illnesses, and their families, were also ashamed, alone and angry. But science and medicine changed public understanding for these still terrible diseases. Those who suffer from these diseases also fight relapse and they do it valiantly – but at least they no longer have public approbation and scorn to add to their struggles. And they have large, well-funded public associations properly championing new and better treatments for them. For each of these diseases science has changed the way they were perceived and managed; and with those changes came public understanding and ultimately public support.